Repentance is a word that carries a lot of weight in Christianity. A lot of times there is almost kind of a negative vibe from it. There was for me at least. Whenever I heard people say it to me, I almost felt like they were judging me. Like it was something they've done, that made them somehow better then me. It was kind of a turn off to be honest. It wasn't until I started reading the Bible myself, did it really make more sense. I wanted to share where I'm at with it, and hopefully it will help someone out there. I really hope you don't believe me, but just take it as information that you can discern for yourself. I am not a preacher, and to be honest organized religion just doesn't resonate with me very well. I go to church every now and again, but I just don't really feel much out of it. I connect so much more though through a personal relationship with God through Jesus and the Holy Spirit that I feel as if I have to share this. In my life I have been an addict, a criminal, committed all sorts of sexual sin, and even dabbled in what I know now is the occult. There is absolutely nothing special about me. When I first started really reading the Bible it was from a jail cell. The first church I went into as an adult, I was on house arrest. I was far from angel, but even at my worst the Lord still wanted to save me and that's true for everybody. 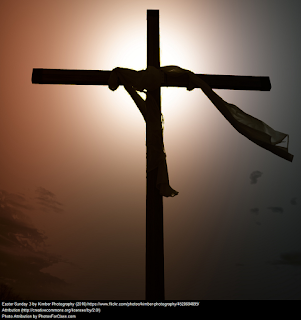 Jesus paid the price for our sins, even for the sins of the people that hated him and spit in his face. Ephesians 2:8-9 King James Version (KJV) 8 For by grace are ye saved through faith; and that not of yourselves: it is the gift of God: 9 Not of works, lest any man should boast. Repentance starts with realizing the only thing the Lord wants is faith. Heaven is a gift from God, and all you have to do is accept it. It requires no work, just faith. Jesus did the work for you because he loves you. Romans 10:9-10 King James Version (KJV) 9 That if thou shalt confess with thy mouth the Lord Jesus, and shalt believe in thine heart that God hath raised him from the dead, thou shalt be saved. 10 For with the heart man believeth unto righteousness; and with the mouth confession is made unto salvation. Once you've changed your mindset from you doing something, to you accepting what Jesus did for you, you are saved, and once you're saved, you are always saved. The Law, which is the 10 Commandments, and all the thou shall not's, is described as a curse. This is because nobody can do it. It's impossible. You could live 80 years perfectly, but have 1 thought of fornicating and you've committed adultery. Game over. James 2:10 King James Version (KJV) 10 For whosoever shall keep the whole law, and yet offend in one point, he is guilty of all. Galatians 3:10 King James Version (KJV) 10 For as many as are of the works of the law are under the curse: for it is written, Cursed is every one that continueth not in all things which are written in the book of the law to do them. The Law is perfect and shows us exactly what sin is, and God still hates sin. Someone needed to pay for that sin, and fortunately for you that person was Jesus. It's your faith in that grace that matters. So I guess the question is how does repentance play a role in all this? We live in a spiritual reality. There is a lie that's been programmed into our minds that everything is physical and mechanical. The paradigm we've been force fed is that the spiritual nature of reality is nothing more then superstitious nonsense. That paradigm is shifting. The new paradigm is beginning to emerge through quantum science with the double slit experiment, among various others that consciousness creates reality. It runs along the same lines as the multi-verse where through our intent we can manifest a desired outcome. This occult philosophy is right on par with the satanic agenda the elites of the world are carrying out. There is a spiritual war happening right now. The Illuminati, free masons, synagogue of satan, whatever you want to call them is showing their hand. Their symbols are all over pop culture, Hollywood, the government, everywhere. There NWO satanic agenda marches closer to their goal every day of a one world government, one world religion, and one world currency and it will happen. This is reality, its really happening, and so many people are asleep to it just as the prophecy said would happen. There are people right now claiming to be Christians thinking the devil is nothing more than a metaphor. Completely asleep to the spiritual world and leaving themselves wide open to demonic harassment or possible possession if they aren't protected by the Holy Spirit. The Bible writes extensively about satan, demons, possession, and the spiritual battle we face. It goes as far as to say satan is the god of this world. These demonic beings operate on fear and feed off our energy. They are like leaches that depend on you never knowing the truth of Jesus Christ. Why? So they can harvest your energy your entire life, and take your soul away from God when they are through with you. They spiritually attack Christians all the time, but are limited to oppression. If you don't have the Holy Spirit, not only will they feed off your energy, they can possess a body and use it for their purposes, a lot of times with the host not even knowing. They need a doorway to get in and sin is your consent to open the door. When you have unrepentant sin in your life, it's like a bridge from their reality to yours. The battlefield starts in your mind, and you have to realize that not every thought comes from you. Think about it like this. Say a demon comes into your mind through a doorway of sin, and begins to get you thinking about a women besides your wife. At first it's just a thought, which didn't come from you, but you go with the thought. If they can get you thinking about it in your mind, or the spirit, they will start manifesting situations where you could easily have an affair and destroy your marriage. All the while they are harvesting you energy. Building you up to tear your down and creating more doorways for more and more demonic entities to use you. It's not uncommon for a person to be infested with these things either. Keep in mind though, it's not Hollywood.You don't need a catholic priest and some big ordeal to get rid of these things. God gives us dominion over these things through Jesus Christ. All you have to do is rebuke them in Jesus name, and they go. Sometimes you have to do it multiple times because there might be more then one demon to deal with. 1 John 4:4 King James Version (KJV) 4 Ye are of God, little children, and have overcome them: because greater is he that is in you, than he that is in the world. Once they are gone, the doorway is still open. You need to shut it, and you do that by repentance. As you repent God will close the doors and give you the tools to help you break that cycle the next time it happens. It's the start to the sanctification process and the Lord is with you every step of the way, guiding you with the Holy Spirit, communicating to you and teaching you how to become love. Good word brother! This is why we need community, I needed to read this! Peace!